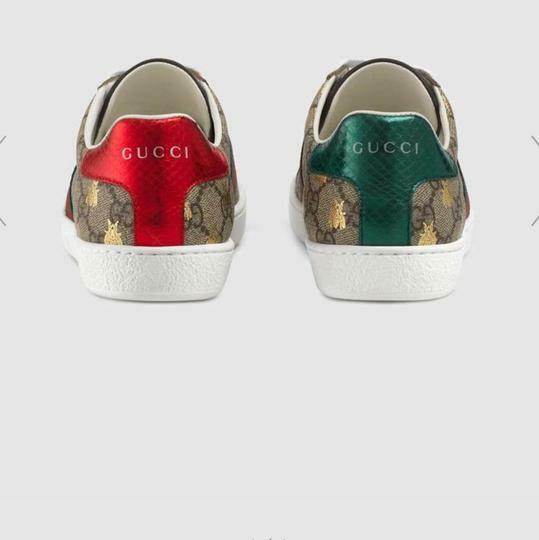 Since its debut, the Ace sneaker has become a mainstay of Gucci collections. The retro-looking design is inspired by a Gucci sneaker from the 1970s, with Web stripe along the sides. 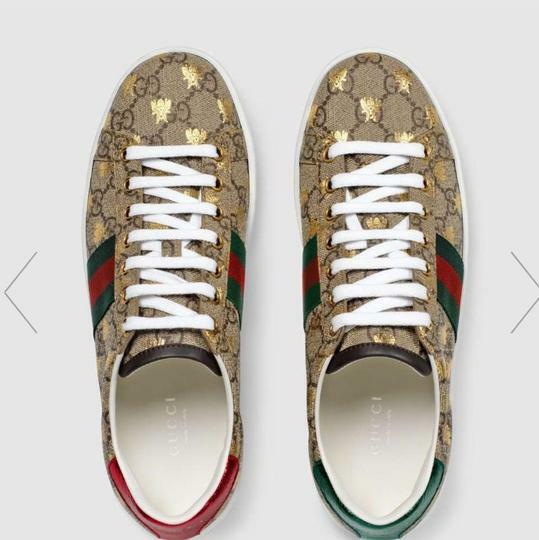 The low-top silhouette has been embellished with metallic gold bees.